Mid and East Antrim Borough Council has given its approval for a Mobile Street Trading Licence to sell ice cream and confectionary in the Larne and Carnlough areas. A recommendation to approve the application was brought before Monday night’s meeting of the Operational Committee. It was proposed by Councillor James McKeown and seconded by Alderman Gerardine Mulvenna. 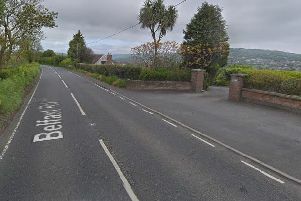 A separate request from a Kilwaughter-based vendor to trade in Ballymena was also approved.